OH HP… If you have Windows 10 and you start seeing the following error message from Windows Update it’s fairly easily to resolve. 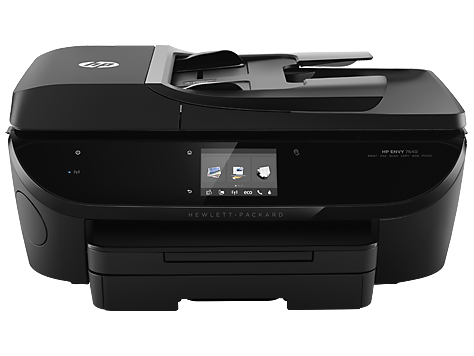 The error message will state, “Hewlett-Packard – Enterprise WSD Multi-Function Printer, Multi-Function Printer, Other hardware – Null Print – HP ENVY 7640 series” followed by a message stating it failed to install. So how do I fix this Windows Update issue? Pretty easily actually… once you know where to look. Sadly, the HP application for the Enterprise WSD Multi-Function Printer devices they sell doesn’t really help. This is the app you see on their site that says, “Let HP identify any out-of-date or missing drivers and software” from their site doesn’t help with the Windows Update error. It’s still pretty easy to fix. You can see the issue if you open ‘Device Manager’ on Windows 10. To do so hit the Windows key on your keyboard (or click the start button) and type “device manager” (without quotes). Once device manager opens scroll to the ‘Printers’ section. You’ll more than likely see both your HP ENVY 7640 (or whichever model you have) along with an Unknown Device listed right below it. 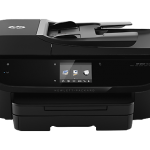 It’s that Unknown Device that’s causing Windows Update to toss the error message “Hewlett-Packard – Enterprise WSD Multi-Function Printer, Multi-Function Printer, Other hardware – Null Print”. In Device Manager just right click on the Unknown Device and select ‘Uninstall’. This will remove it (no worries… it’s bogus anyway) and you can now run Windows Update again. Blamo… it’ll indicate there are no new updates to install. The message stating that there was an update for Hewlett-Packard – Enterprise WSD Multi-Function Printer, Multi-Function Printer, Other hardware will be gone and everything is running smoothly.